Click on the link above to hear this Ohio Players tune. Back in 1978 when disco was hot, this song and a few others (along with The Beatles Tribute) saved us. We used to have fun with this song even though we weren’t really big on it. Carl was on the sound effects in the back. Paul gives him a quick reminder at the introduction. Jon and Mick sing with Paul and Ken helping out. 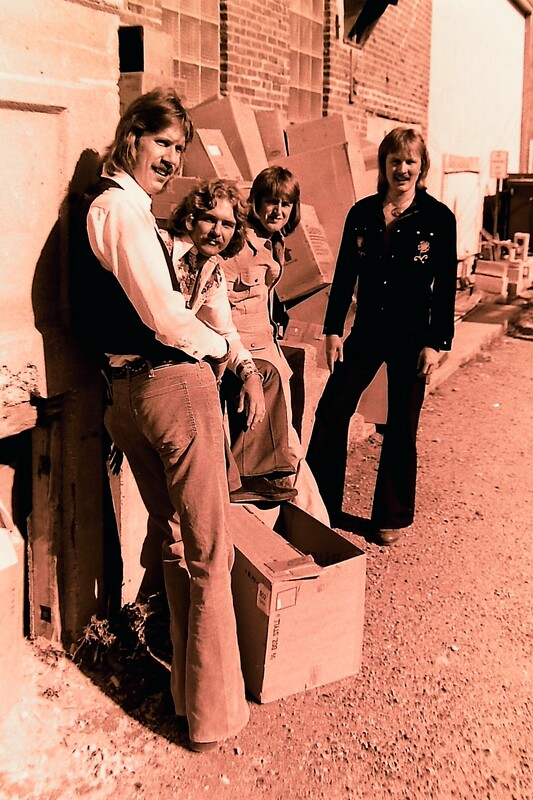 Although the photo was taken in 1976, this is the same lineup who played on this live recording in March of 1978 in Pierre, SD at the Flame Room. Manager, Art Stenstrom, is behind the camera. ‹ Shindig! Review of “After The Laughter” by The Silvers Has Been Released!